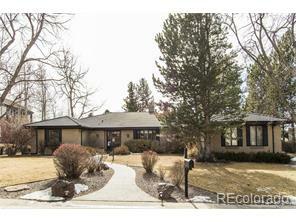 Fabulous Ranch Home in Cherry Hills Extremely well cared for home in highly desired neighborhood. Updates include; New flooring in all main level baths. New vanity in half bath, completely remodeled master bath, new flooring in the family room. Updated kitchen countertops and backsplash, Plantation shutters in the family room and master bedroom. Brand new $42,000 concrete tile roof. The lovely patio and backyard is the perfect space for entertaining. A Must See!